The human immune system is a multifaceted entity that is designed to fulfill two tasks: it distinguishes what is “us” from what is “not us,” and then eliminates what is “not us.” Any molecule that can be recognized by the immune system – whether it is self or non-self – is called an antigen. A healthy immune system is capable of effectively handling potentially harmful antigens, including infectious organisms, allergens, and abnormal cells (such as cancer cells). While not technically part of the immune system, there are several anatomic barriers that must be surmounted by foreign antigens before the immune system is activated: The skin, with its germ-inhibiting sheen of oils and sweat; the mucus that coats the respiratory, gastrointestinal, and urogenital tracts; and specialized, hair-like cilia projecting from respiratory epithelial cells all serve as obstacles that help prevent attacks on the human organism. Any antigen that breaches these barriers can trigger two types of immune response: innate and acquired. 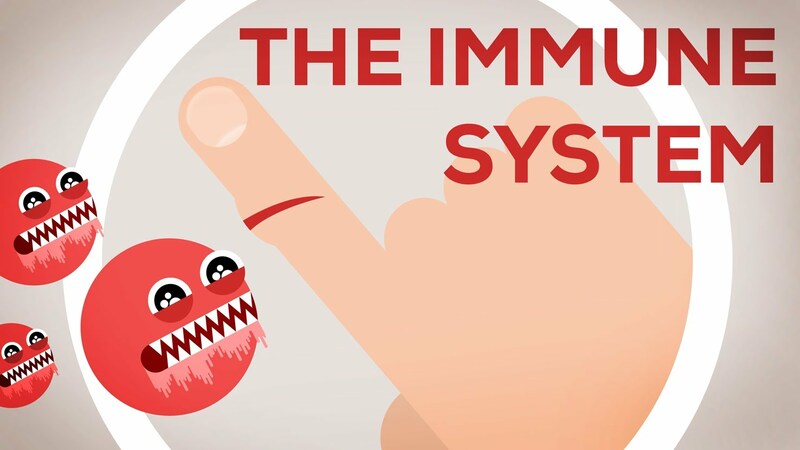 Innate immunity (also called “natural” or “nonspecific” immunity) does not require prior exposure to a particular antigen in order to be activated. The various components that make up the innate immune response simply recognize foreign antigens as “non-self,” and they react accordingly. Phagocytic cells (neutrophils and monocytes in the bloodstream; dendritic cells and macrophages in the skin and other tissues) are responsible for “eating” and destroying invading antigens. They also “show” these antigens to other immune cells, thus initiating a cascade of events that ultimately eradicates the antigen and leads to long-lasting immunity. Natural killer (NK) cells are specialized lymphocytes that detect and kill tumor cells and cells infected by viruses. Polymorphonuclear leukocytes (PMNs) release cellular messengers called cytokines that trigger the inflammatory response and recruit more immune cells to areas where they are needed. Acquired immunity (also known as “learned,” “specific,” or “adaptive” immunity) is that component of the immune response that confers immune memory. Following a first encounter with a given antigen, acquired immunity affords a quicker response to that antigen in the future. Vaccinations trigger an acquired immune response, as do initial infections with certain infectious organisms, like chickenpox, measles, or mumps. T lymphocytes process antigens that are presented to them by phagocytic cells so the antigens can be effectively eliminated. Mature T cells typically only recognize a single, specific antigen; since there are billions of antigens in the environment, the capacity for T cell specialization is nearly limitless. Furthermore, some T cells will heighten the immune response (they secrete cytokines that stimulate other immune cells); others help to suppress the immune cascade once a threat has been addressed; still others are “cytotoxic” and help to kill other cells that are infected, malignant, or foreign (e.g., transplanted tissue). B lymphocytes produce antibodies that bind to foreign antigens, thus making them more easily recognizable to other immune cells. B cells can produce one class of antibody by simply encountering an antigen in the circulation, but this process is slow and only confers limited immunity. However, when B cells encounter specialized T cells, they can be “educated” to produce different classes of antibodies that are manufactured much more quickly and that afford much better immune protection. Antibodies are highly specific and complex proteins that are produced by B cells following exposure to circulating antigens or specialized helper T cells. Each antibody molecule matches only one antigen so, like T cells, B cells have an unlimited capacity to produce antigen-specific antibodies; they are also capable of remembering their uniquely-assigned antigens. Antibodies are ubiquitous: They are dispersed throughout the bloodstream and other tissues or attached to the membranes of immune cells. In order to provide maximum protection against harmful antigens, evolution has conferred a significant degree of overlap between the innate and acquired systems. For example, antibodies that are produced as part of the acquired response will bind to cells that are part of the innate system, thereby accelerating the activity of the latter. Complement, an array of serum proteins that adheres to foreign antigens like butter on bread, stimulates phagocytic cells to engulf the antigens (innate system); at the same time, complement triggers the release of cytokines and the production of antibodies (acquired system). Together, then, the various constituents of the innate and acquired immune systems cooperate to generate the critical activities of successful immune defense: recognition of harmful antigens; rapid response to those antigens; immune regulation and resolution once the threat has been addressed; and memory of specific antigens to afford effectual responses to future exposures.